Contributor(s): Macpherson, James, 1960- [narrator.]. Material type: SoundSeries: Rankin, Ian. Inspector Rebus novel series: bk. 22.Publisher: [New York] : Hachette Book Group, Edition: Unabridged.Description: 10 audio discs (11 1/2 hr.) : CD audio, digital ; 4 3/4 in.Content type: spoken word Media type: audio Carrier type: audio discISBN: 9781549177378; 1549177370; 9781549115653; 1549115650.Subject(s): Rebus, Inspector (Fictitious character) -- Fiction | Police -- Scotland -- Edinburgh -- Fiction | Cold cases (Criminal investigation) -- Fiction | Murder -- Investigation -- Fiction | Edinburgh (Scotland) -- Fiction | FICTION / Crime | FICTION / Mystery & Detective / General | FICTION / Mystery & Detective / Police ProceduralGenre/Form: Audiobooks. | Detective and mystery fiction. 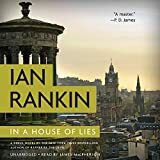 | Mystery fiction.DDC classification: 823/.914 Read by James MacPherson.Summary: Rebus' retirement is disrupted once again when skeletal remains are identified as a private investigator who went missing over a decade earlier. Rebus' retirement is disrupted once again when skeletal remains are identified as a private investigator who went missing over a decade earlier.